We acquired a ginormous 10lb bag of Krusteaz pancake mix from Costco because everything is cheaper in bulk! For my family that’s enough pancakes for 5 years… I decided to look up what else I could do with pancake mix and found a recipe for pancake mix muffins. Bingo! It was also very straight foward to make and only required a few ingredients. I decided to half the recipe since I wasn’t sure if it would taste good so I ended up with 6 muffins. They turned out quite moist and fluffy! You can customize them with whatever toppings you want so I went with chocolate chips and craisins. Blueberries would be good as well if you have them on hand. These pancake mix muffins would also be great for a quick grab and go breakfast. Check out the recipe here from Family Fresh Meals. This was my first time at Congee Noodle House for dinner but I’ve had lunch here before. I was ready for some good old Chinese food! We saw that they had different deals where you can pick 3, 4, or 5 dishes etc. off a special dinner menu and it will come with rice, soup, dessert and they will give you a small “free” BBQ dish as well! We had 6 people but we don’t eat a lot so we ordered 4 dishes and it came with half a BBQ duck for around $67. This entry was posted in Asian, Chinese, Food Reviews, Uncategorized and tagged BBQ duck, deep fried pork chop. On my trip to Toronto last November, I was exploring the Kensington area which is a really eclectic looking neighbourhood beside Chinatown. Just think lots of vintage shops and brightly coloured murals everywhere. This is also where I found Millie Creperie! I had read about it briefly but didn’t make plans to visit but my friend and I happened to pass by so I couldn’t resist going in. 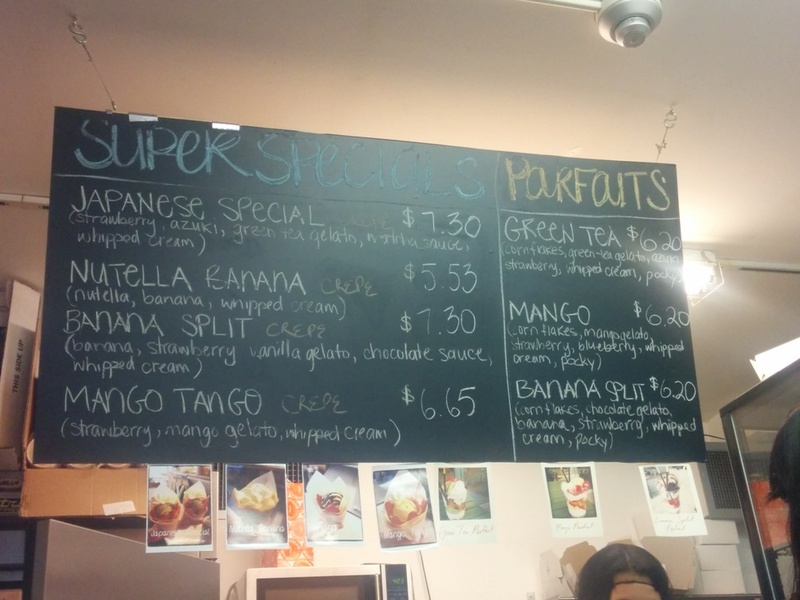 This entry was posted in Desserts, Uncategorized and tagged crepes, dessert, Toronto. Nice Cafe is located on 8th and Main around the corner from the 8th and Main store. It’s very easy to miss since it’s on the side street but it’s across from 8 1/2 Restaurant and Lounge if that helps. This is the definition of a greasy diner joint. We went on a warm day but it was super stuffy inside so we opted to sit outside where it was much cooler. It was only 20 degrees or so though so I don’t know how they survive in there when it’s 30 degrees. 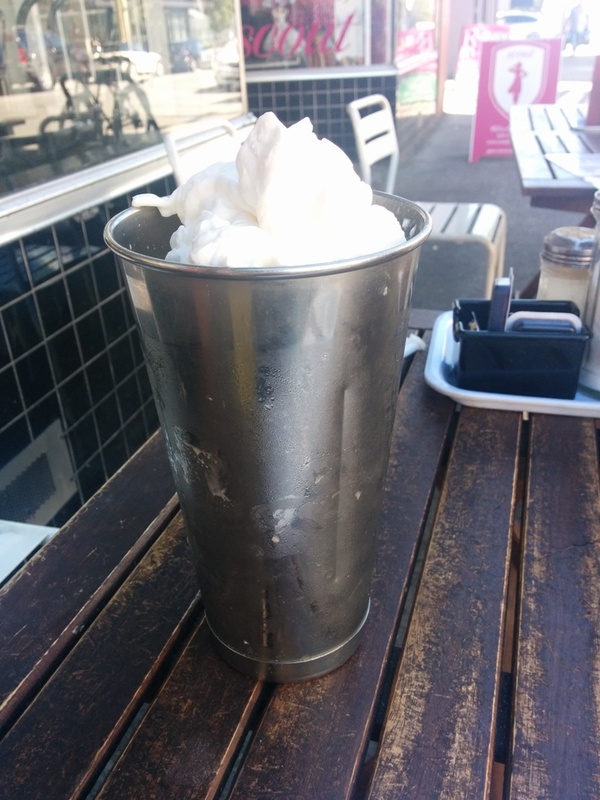 This entry was posted in Uncategorized and tagged brunch, diner, milkshakes, omelette, pancakes.